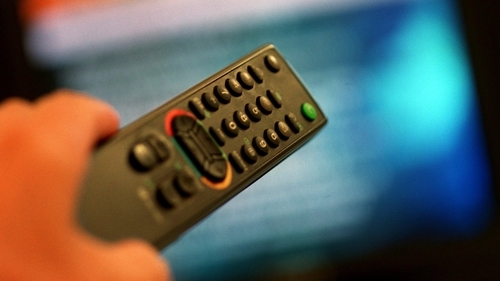 The Oireachtas Communications Committee has urged the Government to widen the funding regime for public service broadcasting, to include homes that do not have a television set. Such a regime would involve the introduction of a public service broadcasting charge that would not be "device dependent". The committee has also proposed that the Revenue Commissioners should take over the collection of the TV Licence from An Post. It said such a move would help to reduce evasion rates, which stand at almost 15%. The committee said this would reduce evasion and could bring in between €35-50m extra to fund public service broadcasting. The report of the committee, published this afternoon, stated that RTÉ should have the capacity to negotiate re-transmission fees with cable operators, such as Sky or Virgin. The committee is also proposing that the licence fee should be reviewed in light of increases in inflation. Committee chairperson Hildegarde Naughton said the current charging regime is not fit for purpose and needs to be changed to properly fund public service broadcasting. The Chief Executive of An Post has criticised the proposals to transfer the collection of the TV licence to the Revenue Commissioners. David McRedmond said he only learned of the proposal in a Sunday newspaper report. "It's wholly unrealistic of TDs and Senators who quite rightly have a concern about wanting to keep every post office open, but who then want to move services away from the post office," he said. Addressing the Oireachtas Communications Committee this evening, he said he expects An Post to break even this year, after suffering a period of large financial losses. Minister for Communications, Climate Action and Environment Denis Naughten said he will bring proposals to Cabinet on the funding options for public service broadcasting in the new year. Minister Naughten said he would examine the contents and recommendations of the report in detail, and it would help inform future policy options in this area. "I fully recognise the important role that public service media plays in a democratic society and the need to ensure that it is adequately resourced if it is to continue to deliver upon its remit," he said. Green Party leader Eamon Ryan said in an era where advertising revenue was going to Google and Facebook, and subscription charges were going to Netflix, Sky and Virgin, the committee was standing up for broadcasters in this country who create content. Independent TD Michael Healy-Rae said it is "completely wrong" to transfer the collection of the TV Licence money from An Post to the Revenue Commissioners. Responding Taoiseach Leo Varadkar said it was not a Government proposal and he had not read the report. Mr Varadkar said the Government would consider the report and respond to it in due course.